Our most popular attraction, the waterfront on Oquaga Lake serves as reminder of what makes this area so inviting. Enjoy refreshment in our swimming area with its pristine waters and soft, sandy bottom. Comfortable lounging offers plenty of open sky for sunbathing as well as natural shading for relaxing with a good book. 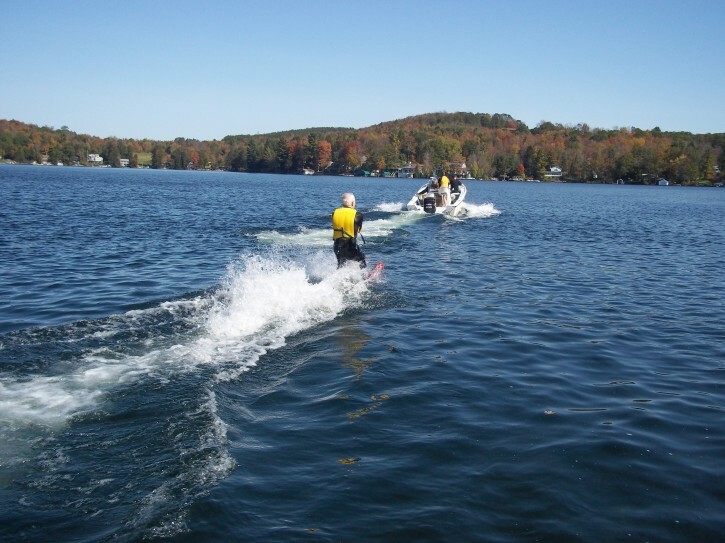 Daily speedboat rides and waterskiing* and tubing* sessions ensure that you’ll have at least one opportunity to be daring, while canoes, row boats and kayaks can be taken out on the water any time you choose. Great fishing is also available at Scott’s – just remember to pack your gear before you go!